The Indian civil services is considered as one of the premier services which paves way for a career that brings lots of authority, power, respect by enabling one to contribute to society meaningfully. Civil Service offers lot of opportunities for on the job learning as every day brings iwith it new challenges, new perspective to look at an issue, innovative solution and so on and so forth. Civil servants are close to the public all the time. So, when you deliver results, one is showered with public appreciation and critical appreciation. 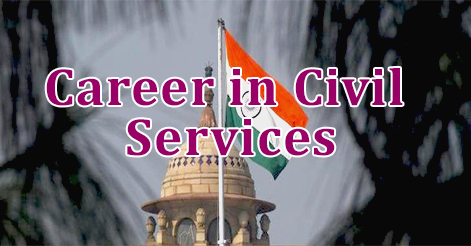 Civil Services include state and central government offices and gives opportunity not only to be part administrative and bureaucratic circles like IAS (Indian Administrative Service), IFS (Indian Foreign Service)and IPS (Indian Police Service) but also to serve in departments of the Revenue Service,Indian Railways, Postal Service,Customs, Audits, etc. The formulation of government policy in consultation and leadership of the minister in charge of the concerned ministry. Supervising the implementation and execution of the policy. Smooth functioning of the concerned ministry. After becoming an IPS officer, one is assigned to a cadre and one’s career starts in the state administration as the Deputy Superintendent of Police, and the officer can then rise through the ranks of the State Police to become Commissioner of Police. An IPS officer can also work in Central agencies such as the Intelligence Bureau (IB), the Research and Analysis Wing (RAW) and the Central Bureau of Investigation (CBI) and can lead thes agencies as the Inspector General of such a specialised force. Represent India in its Embassies, High Commissions, Consulates and multilateral organisations like UN as a part of India’s diplomatic mission. Promote friendly relations with the host state and its people, including Non-Resident Indians and Indian Origin Community. Report accurately on developments in the host nation that are likely to influence Indian intrests. Negotiate agreements on various issues with the authorities of the host nations for prolonged diplomatic cooperations. An IFS officer can expect to be posted as per the discretion of Ministry of External Affairs, where he will be responsible for all aspects of external relations of the country.An, IFS officers has to clear a foreign language requirement, after then one has to spend a brief period at the Ministry of External Affairs,to be posted later to an India diplomatic mission abroad. The Civil Services Exam (CSE) is conducted by the Union Public Service Commission (UPSC) every year, to recruit officers into the various branches of the civil services . The Civil Services Exam is divided into two sections. 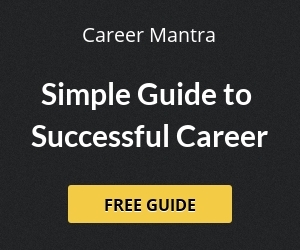 Civil Services Aptitude Test – CSAT is a compulsory part of Civil Services Examination, that act as a screening test to Civil Services Main examination Conducted annually by Union Public Service Commission of India. It is also known as Civil Services Preliminary Examination. Main examination – This is the main test designed to test aspirants’ academic talent and also their ability to present their knowledge in a clear and coherent manner. Help us to improve this article/job posting "Career in Civil Services". We would be glad if you can comment below and provide your valuable suggestions and feedback. If this page have any wrong information/list or out of context content, then you can report us as well. I’m CS (company Secretary) and hav 5 years experience.